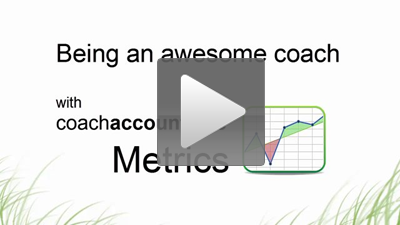 CoachAccountable - Software that makes your coaching better. Being certified (even at the highest level) and masterful with all the competencies isn't the full story of being an amazing, results-producing coach. The motivated mere mortals whom you coach face their own challenges applying your coaching to their lives. If your offering isn’t clear and compelling, you’ll face obstacles in attracting and retaining quality clients. "We have amazing calls and my clients are lit up and super thankful, but they don't do the work, then think it was ME who failed them!" If you’ve ever thought this, you’re not alone. Coaching that matters is coaching that challenges. You don’t want to babysit clients, but you don’t have to leave their follow-through to chance. There’s a better way to support your clients while keeping them on track, focused, and motivated. You want your clients raving because they got big results by actually doing the work. You want clients to fully value you, because the results they got are both documented and obvious. It’s hard to package the intangible. But coaching, made up of conversations that make a difference, is largely that: intangible. You know your coaching ability is the real deal, but how do you convince someone new to coaching that it’s more than a notebook and a phone call? Coaching doesn’t have to look “woo woo” from the outside; there’s a better way to show off what your clients get when they hire you. You want even the most right-brained and ROI-focused to look at your offering and say, "Well that just makes sense." You want a system that puts your coaching in a class unto itself: tidy, professional, and immaculately well-organized. It makes your coaching more approachable and more effective. I work with people who have Attention Deficit (ADD / ADHD). Part of the focus in our coaching is... well... developing "focus" and "structure". I had always assisted my clients in creating goals with metrics (I was using Excel)... but to have it web-accessible and web-updateable was one of my dreams fulfilled. Setting automated reminders tied into session times, actions, metrics, notes, etc is unbelievably easy and VERY good for my clientele. 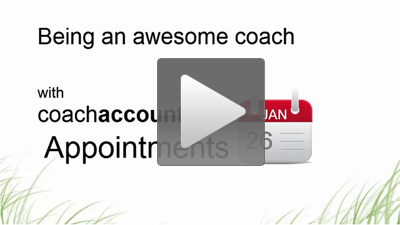 Without CoachAccountable, we were spending three hours a week with clients. Now it’s closer to 30 minutes, and we’re able to get more clients, while spending less time, and giving them more value. With CoachAccountable in place, our number of clients has gone up over five times the number we had just last year, and we have been able to add more coaches to the team, too. Now back again, everyone is on track, progressing well and I am refreshed. Time saving is a huge benefit. Less time on admin, more time helping clients make that change they desire, and, of course, relaxing holidays! If you are a successful coach or mentor and you’re looking for a best practices, leading edge platform to work with, look no further. 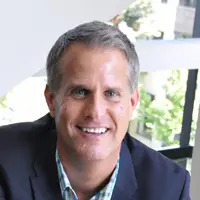 As a discriminating and hard to please technology industry veteran of 20 years, I spent YEARS trying to find a robust, fully functional solution for my mentoring practice that integrated appointment management AND client/practice management tools, AND that also offered excellent, responsive support. The winner hands down is CoachAccountable. I just set up my first offering for a free intake call. You NAILED THIS! Not only is the functionality awesome, the branding plus simple and clean design are incredible. Essentially you’ve given me the ability to create a landing page AFTER they schedule the initial appointment (free). I couldn’t be happier. This completely eliminates the need for systems I'd stitched together, my scheduling software and Zapier. Also considering eliminating my forms software. If I were starting over I would start with only CA and reconsider if I needed any of these. The feedback from my clients has been extremely positive. They are much more engaged in the coaching relationship. They come to the calls more prepared; we’re able to get into the call faster, so they get more value out of the time. They’re getting a higher touch experience. Where I was having one touch point (a call) with them, I now have three at least: the pre worksheet, the call, and the post worksheet. It’s also a great feedback loop for the coach. It’s going to change your life and change your coaching practice. I got into coaching to coach people, not to merge files, sort through emails, or test my memory. The paper chase was easy with five clients. It buried me at ten. 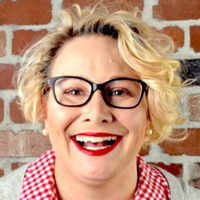 With sixteen new clients on the horizon I had no idea how I'd manage it all. The thought of new business was overwhelming! CoachAccountable changed that in a weekend. The ease of the site, the brilliance of the tutorials, and the personal touch of John helped me to put everything is its place. Now my data has a destination, my conversations have a record, and my follow up is flawless. CA allows me to focus on what I'm called to do. Coach people! I was looking for a system to help me manage and streamline my coaching practice. I wanted a solution that didn't require my clients or myself to be a rocket scientist to use it. 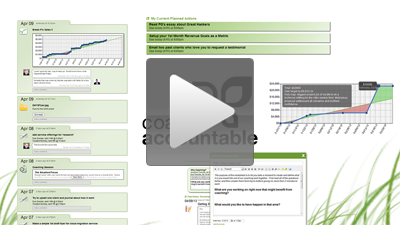 I was able integrate CoachAccountable into my practice easily and seamlessly. Perhaps the best part is that my clients have a living, breathing record of the whole of our coaching relationship, all in one place. It takes my practice to a whole new level of professionalism and I can't imagine coaching without it now. Yes! And no. CoachAccountable is a web-based app, meaning it JUST WORKS on devices of all sizes. Nothing to download, install, or update (but you can easily add it to your home screen and, better than a generic app store app, it'll be branded YOUR way!). Can I white label this as my own? Absolutely, and we encourage it! Customize your colors, logo, and more - plus we’ve even got a white-labeled login widget, allowing your clients to log in from YOUR website, instead of ours. We have what we call the 10-minute test to get the basics set up and see how CoachAccountable can streamline your coaching practice. 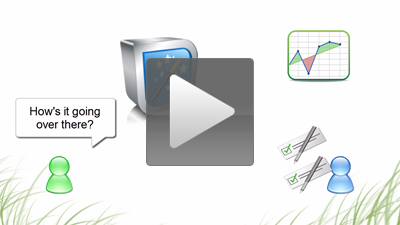 You can go from brand-new customer to selling coaching on your website in under 3 minutes. Of course, like anything, you can take more time and get more detailed, but generally you’ll be able to get CA up and running for your clients in the span of an afternoon. Happy to, it’s in our mutual best interests to have you successfully using and loving CoachAccountable! You’ll find a detailed and easy-to-follow Getting Started guide when you sign up. We’ve got a robust in-app help center, the blog is chock-full of how-tos, and you’ll reach a real person when you contact support. If you’d like additional handholding, you can book a session here. Do you have coaching materials and modules for my clients? Yes! While your coaching style is completely unique, we do pre-load some thoughtful resources into your account. Feel free to use these complimentary Worksheets, Session Note templates, Files, and Courses as-is - or adapt them to make them your own. 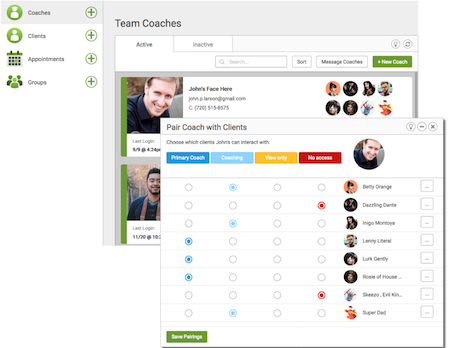 How do you compare to other coaching software? Honestly? We don’t know. We’ve learned it’s not useful to keep up with the Joneses when it comes to developing our platform; instead, we simply listen to our customers for what you actually need. Feedback from real coaches on the front lines over the last 6 years has built CA into the sophisticated product it is today. Have a suggestion or question? Drop us a line. Sorry, the UI of CoachAccountable is available only in English. However, it's been made to work by many coaches with non-Engligh speaking clients owning to the fact that MOST of the written words they'll see are what you share with them: your worksheets, your notes, your templates. Here's how this works in practice. Is this GDPR and/or HIPAA compliant? No upfront or setup fees, no contracts, no cancellation hassles. You're billed once a month while your account remains open, and based on the number of clients you have active on your billing date. You can easily deactivate clients anytime. And, if you qualify for a lower-cost plan, we’ll downgrade your account automatically to bill you at that lower level. See more about our fair, no-nonsense attitude in our Terms of Awesome. Do you take a cut of what my clients pay to me? Nope! Any fees will just be the normal merchant fees you have set with your payment processor (Stripe, Square, or Paypal); CoachAccountable just serves to process those payments on your behalf. Yes! Holding customer data hostage is weak sauce and companies that do it should be ashamed of themselves (because seriously, it's easy to make data export tools available as a respectful gesture). Any time, for any reason, you can get all of your data out with a few clicks. You can also export a client’s complete record at any time in a pretty and portable format, great for sharing with them or keeping for your own records. Do you make it hard to cancel? No, see aforementioned scorn for companies that do nonsense. You’re free to leave anytime, it takes just a couple clicks, and we won’t try to change your mind. Again, this is the stuff of our Terms of Awesome. Is there an API? Or an integration with Zapier? There is, we're all about giving the tasteful kickback to those who would be so kind as to spread the love. Here are the details. Do please keep in mind that our referral program is intended for real CA users who genuinely dig and value the platform. You ever have someone tell you you should totally read some book when they themselves haven't even read it? It's super annoying. No fuss, just sign up for your no-commitment 30-day trial and dive in! We're here to help as you get underway. Make your coaching so much more than just your sessions. Follow through is what transforms great coaching into real results. CoachAccountable structures and supports your coaching programs to cause just that. an comprehensive, supported, and results-driven experience. Enjoy a more thriving coaching practice. Quality coaching causes real value and clients who are happy to pay for the results they get. a system to demonstrably provide more value. 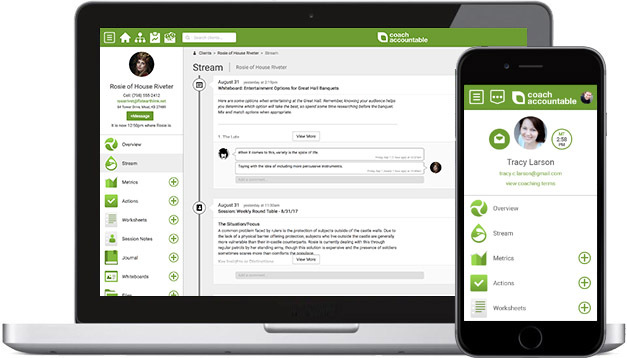 Coordinate and manage your entire organization. More than one coach in your outfit? Manage your organization's coaching team with rigorous accountability and oversight at an unprecedented level of detail. a system of true organizational accountability. The interconnected effects of having a structured coaching system lead to the main outcomes of CoachAccountable. Move your mouse over any box or connecting arrow to learn how. Outcomes are the real things that you and your clients care about. Roll your mouse over any item (or connecting arrow) for more information. In minutes coach or client can set up an action plan for a complete week, leaving both with an unambiguous account of what's due and by when. When both coach and client are clear on the action plan, the action plan becomes all of remembered, supported, and acted upon. Quantitative goals spanning weeks or month are expressed as Metrics. The visual representation of these goals and respective results is shared between coach and client, making progress (or lack thereof) evident. Metrics beg to be tracked regularly. With both coach and client watching progress unfold, results get measured and reported. Organized and easy to find, the progression of results is always easily visible to both coach and client. It's satisfying to see where one has been and how far one has come. Patterns reveal themselves, most importantly what's working and what's not. Are clients getting results within the scope of their coaching relationship? Now there can be no doubt. By focusing attention on the results in a very real and persistent way, one works more efficiently towards the intended goal. Capture the key take-aways from coaching sessions and share them online. 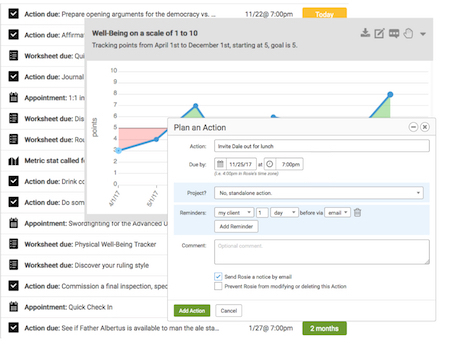 Worksheet assignments and journal entries are similarly shared. The mere act of typing up session notes, assigning worksheets, and writing journal entries leads to a growing record of the coaching work. It's all captured and organized, and ready to review by either coach or client whenever needed. A rich body of documented coaching work which accumulates over time. It's all there, and all available online. Including what clients regularly report in. Just by popping in about 10 minutes before a session, coach can get fully up to speed on what's happening with a client, INCLUDING what's new since the last time they spoke. Coaching is generally an abstract process, but the organized records of what happens within a coaching relationship makes it much more tangible. A great way to save time on the usual coaching process. A coach can effectively coach a lot of clients when they can quickly get up to speed on the whole picture for a single client as needed. With a lower time overhead per client, it's possible to fit more clients into the same number of hours without sacrificing quality. Efficiency, organization, and streamlined communication all come together make coaching simply take less time. Coach can either serve more clients or enjoy the freed-up hours some other way. Whether taking on more paying clients or enjoying a the benefits of a lighter schedule, the result is happy for the overall state of the coaching practice. Records of coaching accumulate across many months and engagements. The coaching style itself can be improved upon using the insights contained within these records. That which is tangible can be shown off, AND is better understood. Coach can put the results of his or her coaching on public display. This is nice, because only that which is understood can be fully appreciated. When people see and appreciate the value of coaching, they are more likely to want it for themselves. There's no better way to make the most of a coaching program and expertise than to have more people wanting to take it on. Coaching that is well sought after makes for a healthy business indeed. Clients are getting what they came for, enjoying real results and eager to continue. 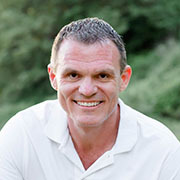 Prospective clients find the coaching compelling. Coach is able to effectively serve a larger number of clients in less time. The bottom line is happy, and both coach and client are throughly satisfied. There's much to tell, so people take notice of the effective work of a prosperous coaching program. Being a stand-out great coach is worthy of it. Cause great results for a lot of people, ultimately making lives and the world a better place? People have gotten on for less. Providing substantial value to a substantial number of people probably enables coach to command a nice fee for their fine work. Who doesn't wanna be a baller? At very least it's nice to make a good living. Because successfully coaching people into their delighted potential can't help but make one feel good. It's the stuff of deep purpose, satisfaction, and making a dent in the universe which one can be proud of. Between in-system messaging, posting comments on specific happenings, text and email, communication between coach and client is made efficient, inviting, and always on-topic. Barriers to communication are lowered and reaching out is made super fast, so coach can offer clients support between sessions. 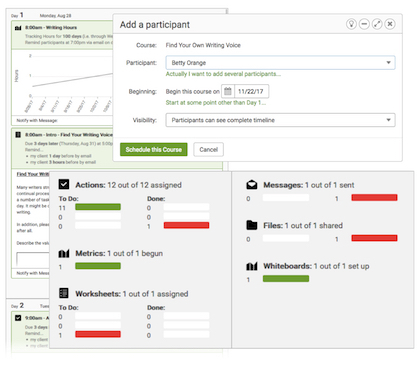 Coach is informed in realtime about key events, like actions going late and worksheets being completed. Coach can see what's done, what's not, how progress is unfolding. All without needing to wait for client to give a progress report. Say the week's performance is way off and it's only Tuesday. Knowing as much allows coach to check in and intervene sooner than later. Skip the progress report on a coaching call, both coach and client are crystal clear about the score going in. Dive right in with focused coaching based on the state of things. Rather than wait until the next session, coach can provide timely support to clients to get them unstuck. A client kept in motion can continue on progressing in the desired direction. Delivered via text or email, reminders ensure clients stay aware of their intentions, and make it super easy to report back their progress. A reminder can mean the difference between "I forgot" and "I got that done". A simple reply of "done" marks an Action complete, and a simple number tracks the day's progress for a Metric. By regularly recording the progress over time trends emerge. Regular reminders make it a cinch for clients to report simply by replying to email or text prompts. Coaching either withers away as just a bunch of good ideas, or is acted upon for the sake of real results. Follow through is vital to clients getting real value out of the coaching work they do. Without action, there are no results. With more consistent action, there are more results. With strong & regular follow through, regular tracking of outcomes, and timely support from coach, client gets the results they seek. Success is less of a meandering path, and more of a focused and supported pursuit. Because what's not to love about achieving wins? When the (plentiful, important, substantial) results are evident, a client naturally values the process which caused them. Clients who are getting what they came for AND KNOW IT tend to stick around. Rather than peter off when the engagement ends, a satisfied client is more commonly eager to continue with the coaching relationship, so to reap more results. If they're clearly getting benefit and are aware of it, who could blame them? When clients are thriving under the coaching programs they have undertaken, well, they're thriving. A client that stays around longer allows you to do deeper and more thorough work with them. When it comes to having a full coaching roster, it's far easier to keep the clients you have than to find new ones. Clients willing to work with a coach for longer means clients who are working further at growing themselves. More individuals succeeding at growing themselves into their full potential means a generally more awesome world for everyone involved. Because everyone feels good about people becoming more awesome. 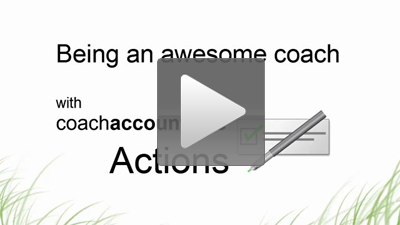 CoachAccountable's 1-on-1 coaching tools extend to group coaching and coaching courses. With CoachAccountable Groups you can foster communication, community, and a shared sense of accomplishment. 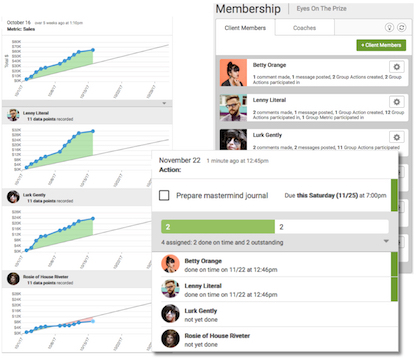 Group assignments allow members to stay mutually accountable, and Group Metrics allow everyone to know one another's results as well as how the group is performing as a whole. With CoachAccountable Courses you can design programs that span weeks or months consisting of your tried-and-true material. Add participants on whatever schedule you choose, and then be as hands-on or off as you like while CoachAccountable does the rest. Want more? Give these a watch. Watch what a typical coaching session looks like with the benefit of CoachAccountable, and explore how yours can be even better. CoachAccountable can tangibly illustrate the value of the quality coaching you do, making it more compelling for current AND future clients. CoachAccountable enables you to deliver intricate coaching programs to a large number of clients without watering down individual attention. Want a Taste of the Specifics? "This is all well and good, but how does it really work? What's it REALLY going to look like?" If you're the kind of person who wants to get really specific about the actual tactics, these "Being an Awesome Coach with CoachAccountable" videos are for you. You'll learn EXACTLY how you can use the platform to make your own coaching genuinely better. 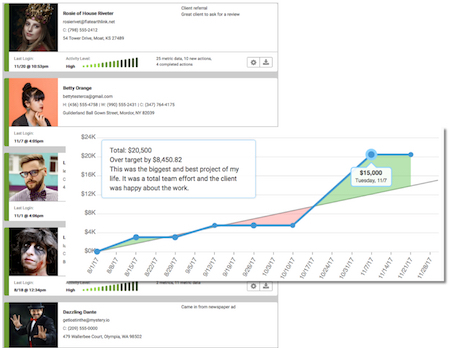 Track the numeric progress of anything with your clients. Reminders via text or email make reporting simple (clients just reply). Everyone can see the scoreboard of how things are unfolding at any time. Graphs tell a story about how things went and what worked. 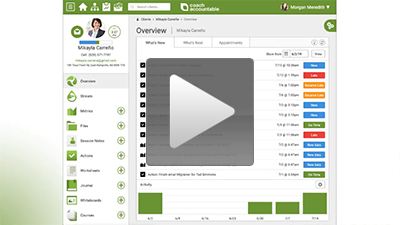 Schedule appointments with your clients that show up in your calendar and theirs. Let your clients schedule themselves with you.